COME CHECK OUT THIS BEAUTY!!! SOME FEATURES INCLUDE, air conditioning, AM stereo, CD player, power windows, power drivers seat, power passenger seat, clock, console, carpeting, black leather upholstery, vanity mirrors, seats 6, wood accent, front and rear arm rests and much more!! COME IN TODAY TO CHECK THIS OUT!! 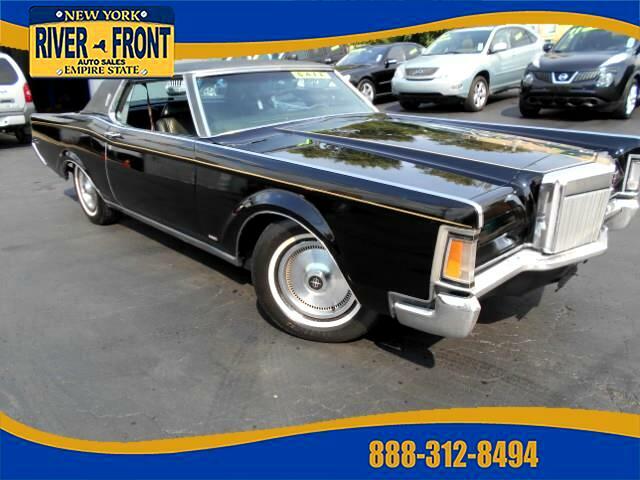 Message: Thought you might be interested in this 1970 Lincoln Continental Mark III.